Carry a meal from one room to another with confidence using an indoor rollator. 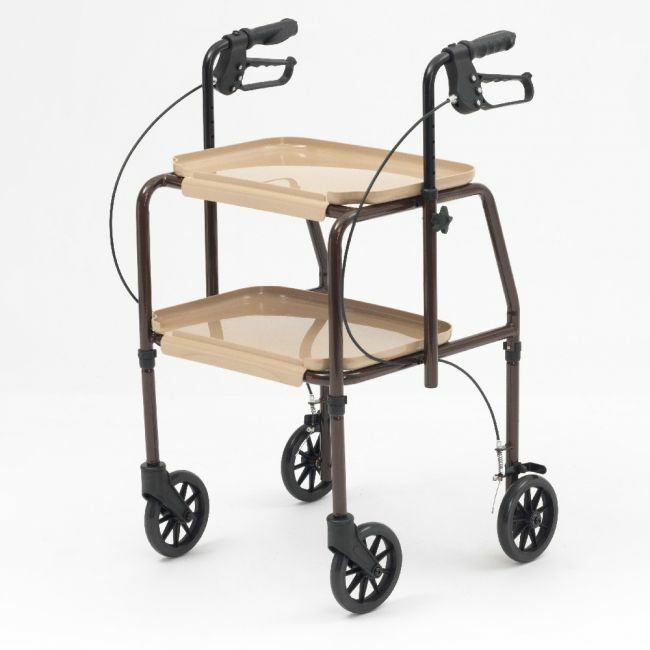 This height adjustable trolley is a sturdy and robust walking aid designed to help the elderly carry belongings from one room to another. The clip on plastic shelves are easy to clean with a lip around the edge to prevent items slipping off, and arthritic friendly brakes ensure the user is always in control.